The Peddars Way and Norfolk Coast Path National Trail is an easy-to-follow 96-mile trail that combines the best of inland and coastal walking in Norfolk, and one that, being well waymarked, largely flat and within easy reach of public transport for most of its length, is ideal for people new to long-distance walks. Described here in eight stages, the route can be walked in just over a week but also easily split into day walks or over a series of weekends, with full information about access to start and finish points for each stage by public transport. The trail is a walk of two halves. The Peddars Way begins at Knettishall Heath in Suffolk and follows the route of an old Roman road for over 40 miles to Holme-next-the-Sea, where it meets the Norfolk Coast Path (which begins nearby, at Hunstanton). This then follows the spectacular north Norfolk coast to the seaside town of Cromer. 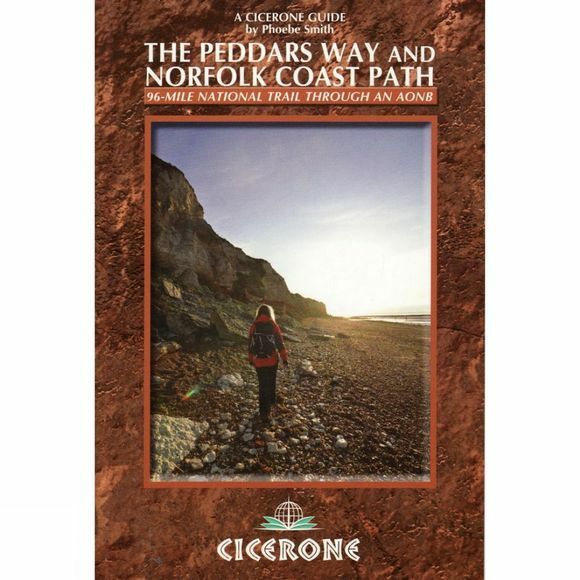 This handy guidebook is illustrated throughout with extracts of OS 1:50,000 mapping and stunning photographs depicting the Trail in all seasons and describes points of interest along the way, including the Nofolk Songlines sculptures, and also facilities available in the towns and villages.